FARMERS MARKETS have now become so entrenched in community life that it’s hard to remember a time when we didn’t have the luxury of them. 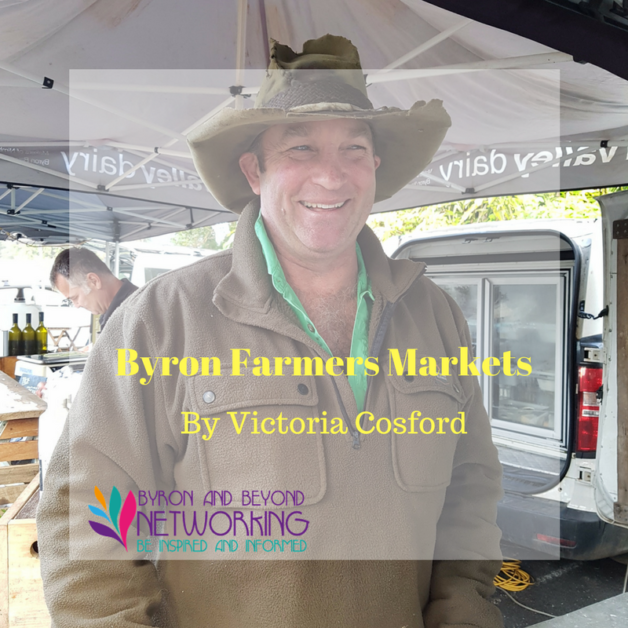 In the Byron Shire most days of the the week you can seek one out – Tuesdays at New Brighton, Thursdays at Byron Bay, Fridays at Mullumbimby and Saturdays at Bangalow – and truly there are few lovelier ways of starting your day than turning up at a market early enough to catch one of Rob Constanzo’s Nomadic Kitchen breakfasts – a spicy Sicilian omelette; a nutty syrup cake – and to join friends over a good coffee. Apart from the plethora of beautiful seasonal produce (arguably amongst the most flavoursome in the country owing to the rich red volcanic soil which nourishes it) there’s seafood, meat, eggs, honey, sourdough bread, juices and cordials, nuts and pastries – all of it in the most relaxed rural atmosphere with a soundtrack supplied by talented buskers. Victoria Cosford. La Vittoria Cooking School. X Byron Echo food editor.